This is one of those improvisational dishes that turned out well. 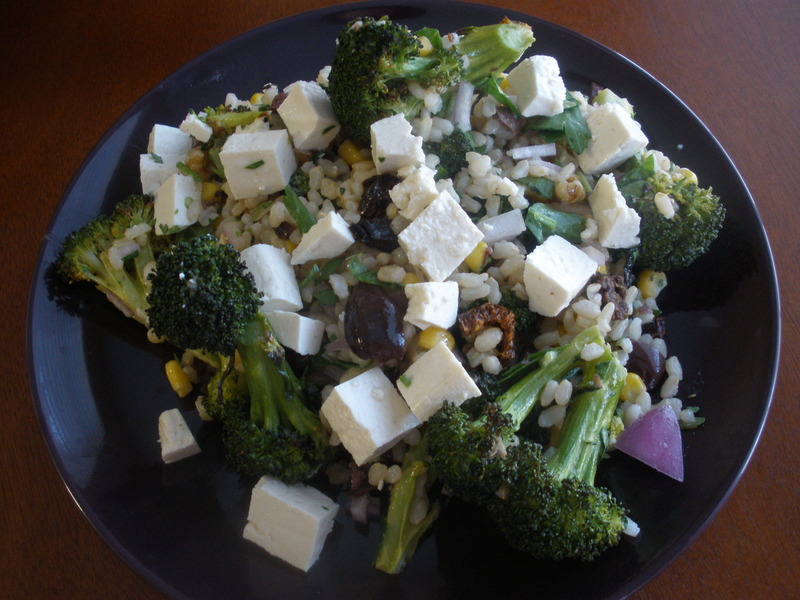 It is an iteration of the grain/bean/vegetable template that makes a satisfying and healthful meal. I cooked up some brown rice for this ahead of time, though if I had any leftover cooked grain I would have used that. Quinoa, for example, would make an excellent replacement for the brown rice, as would millet or bulgar wheat. In place of broccoli you could use cauliflower or any vegetable really, depending on what you might need to use up or what’s in season. The dressing has become a favorite of mine–a very simple combination of olive oil, tahini, and lemon juice. In place of tofu, any bean would work, particularly chickpeas. 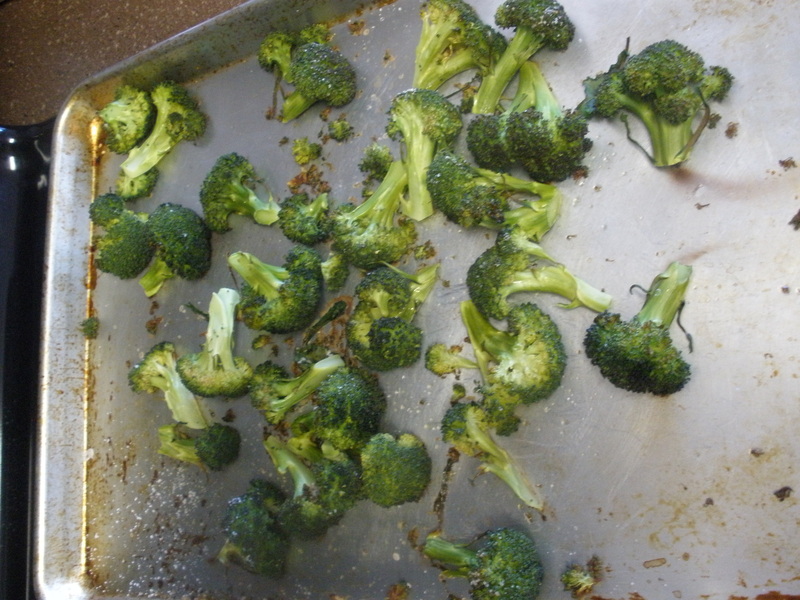 Preheat the oven to 400 F. Prepare the broccoli by washing it and cutting it into small trees. Toss with olive oil and salt (about a tablespoon of oil) on a cookie sheet or glass baking pan (I prefer the cookie sheet–easier to clean). Bake for about 20 minutes, or until the broccoli is tender. While the broccoli is roasting, prepare the other components of the salad. Chop the walnuts, tomatoes, onion, parsley, and olives, and add to the rice in a medium bowl. Microwave the corn for 1 minute on a small plate or in a bowl. Add to the salad. Make the dressing by whisking the tahini, olive oil, pepper, and lemon juice together. Toss with the salad. Mix in the broccoli and tofu. Serve.